Byron Shire Chemical Free Landcare, next working bee will be on Saturday, the 20st of June, from 9 am to 1pm, at Brunswick Heads Crown Land Reserve site. Meet at the end of South Head Road fire track gate. If you come later, walk 150 m along the beach from the dog walking beach access track, heading South and turn west into the dunes. We will be there, doing follow up work of Bitou Bush and Glory Lily. Please wear boots, long sleeve shirt and long pants, a hat, gloves and bring water and some morning tea. We will celebrate winter solstice at morning tea as it will be one day to go before the sun, a generous star that warms our soul returns our away. More information please call Nadia 0478272300 or go to http://www.byronshirechemicalfreelandcare.org. 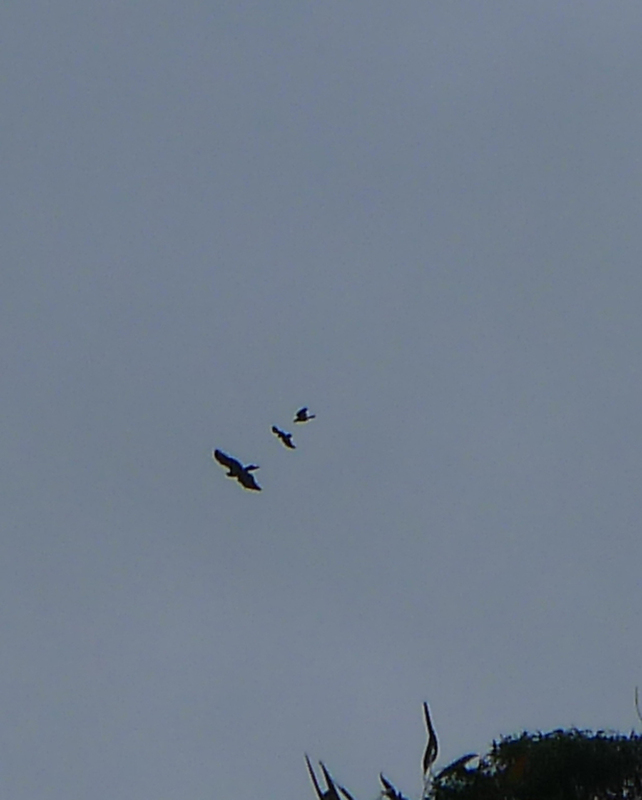 I watch a wedge tail eagle chased out by 2 crows.